It is a pleasure to welcome back James Sismanes to the blog! James Sismanes is an exceptional person to this media outlet as he was Jake’s Take’s very first interview. He made his first appearance on the blog on November 27, 2011, under his producer alias “Simmy.” My first interview with James opened up numerous doors for me as I was able to speak with countless rising artists, music legends, and alumni from some of my favorite performance-based Reality TV shows. Six years after he sat down for his second interview with Jake’s Take, James is back to talk about his first book, The Art of Being Jonny. The Art of Being Jonny follows Jon Jinks, a hard-working house painter, who walks into the ultimate temptation with a malfunctioning ATM enters his life. In addition to the new book, James opened up after how he grew as an entertainment entrepreneur and how he overcame several obstacles that he faced while writing the book. Jacob Elyachar: It has been six years since we last sat down for an interview. How have you grown as an entertainment entrepreneur since we last spoke? James Sismanes: Wow! That’s a wonderful trip down memory lane. Check out that haircut and cutout cartoon doppelgänger! But in all seriousness, I think what’s most salient to me – and even more so when I read back on our last conversation in 2012 – would have to be my entrepreneurial maturity. I’m still wacky, crazy, colorful, imaginative and all things cooky, but I’m now a full-time small business owner, injecting those ingredients into different mediums that are perhaps a better reflection of the person I am today. JE: Many of my readers first met you as a music producer. What were some of the factors that lead you to transition into a new career? Will you ever return to music? James Sismanes: It’s funny you ask actually, as I’m still actively involved in music production. 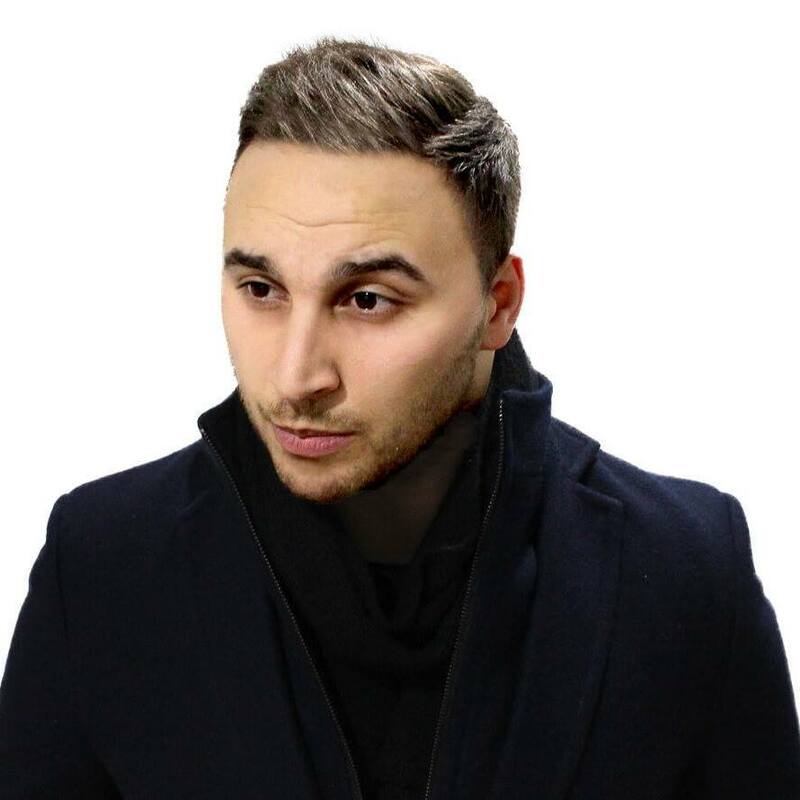 While most would remember me as ‘Simmy’ – R&B, Hip-Hop, and Pop music producer – I now produce royalty-free jingles and advertising audio under my full name of ‘James Sismanes’ (you’re welcome to check out my portfolio at the following link – https://audiojungle.net/user/jamessismanes/portfolio). Over the years, I’d lost that lust for commercial music production – blame it on the politics and red tape, really – and decided to delve down a channel that was a) more remunerative and b) allowed me to experiment artistically in a range of different styles and genres. I still dabble in some R&B stuff here in there, but most of that just builds up cobwebs on my private hard drives. JE: Recently, you released your debut novel: “The Art of Being Jonny.” When did you first get the idea to write this book? 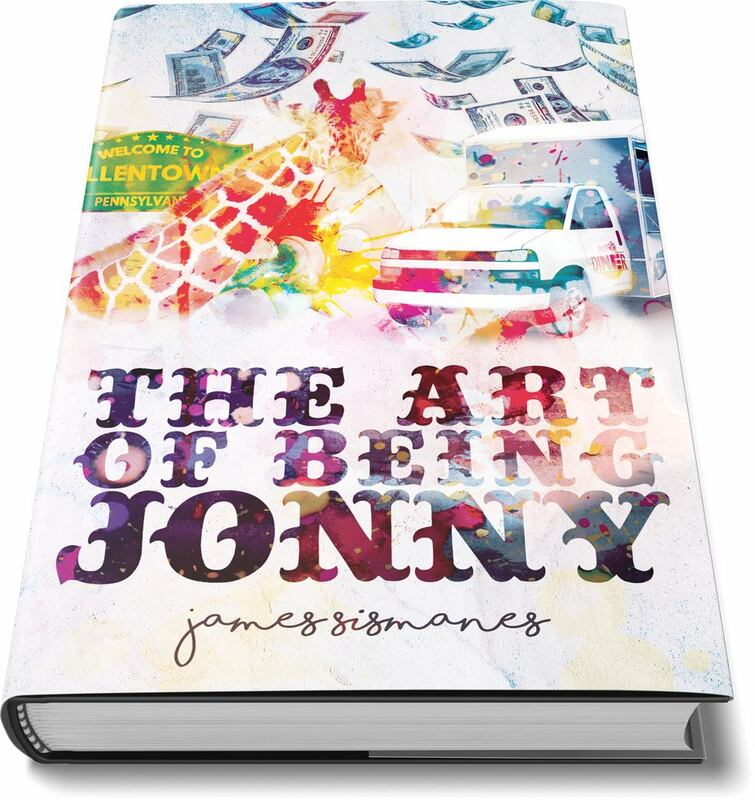 James Sismanes: The Art of Being Jonny actually dates back to late 2014. The idea itself, manifested after watching a 60 Minutes special on an unassuming bartender who had struck gold by unlocking a loophole in a regional ATM system. While the crux of the idea was inspired by real events, Jonny’s spiraling adventure is something else entirely. For me, conveying a sense of realism is paramount to crafting a believable and resonant story, so it was a challenge to take what was, in essence, a very fragile and rudimentary idea, and to evolve it into a narrative with complex layers and metaphors. JE: What were some of the challenges that you faced while writing this book? How did you overcome those obstacles? James Sismanes: Writer’s block (and a lot of it!). I guess when you’re not a full-time writer, being able to tap into that source of creativity isn’t as organic as you’d like it to be. I’d try to squeeze an hour in after work each day but because there’s no such thing as a ‘creativity switch,’ I’d often find myself deleting and re-writing whole pages at a time that were forced out in an attempt to meet my own daily word limit. I quickly learned that the key to unlocking my own inspiration was a steady diet of exercise, Xbox, HBO/Netflix television and Funko Pops! (yes, Funko Pops! – I have a six-shelf collection on my wall of all my favorite protagonists and antagonists from video games, movies, TV shows and more). I’m also pretty protective of all my creative love-children so even something as basic as enlisting a team of qualifying readers was a difficult undertaking for me. Like any mad scientist, we all just want to be the greatest versions of ourselves and overcoming those roadblocks on our way is – in a really strange and messed up way – all part of the process. JE: Could you please describe some of the feedback that you received to my readers? James Sismanes: Overwhelmingly positive so far (which is either really great or really sucky if you’re missing out on some honest, valid and constructive criticism!). While The Art of Being Jonny is available from Amazon and all major book outlets, I also imported a couple of boxes for local distribution that sold out within the first week. It seems like a lot of my audience is divided on their opinions of the story’s most controversial character – Chuckie Hooper Junior. Half of my readers think he’s an arrogant, petulant, chauvinistic brat while the other half admire him for his comedic relief and his crude but brutal honesty. I think what’s most rewarding is to hear the response to some of the humor in the book. It was important to me that the character dialogue be as entertaining as possible and I think I’ve accomplished that so far – and, I’ve only offended a small handful along the way! Win, win! JE: If you had the chance to meet with someone who wanted to write a book, what advice would you share with them? To learn more information about James Sismanes, visit his website. You can also connect with James on social media. Visit his Facebook, Instagram, and Twitter channels.